Many of you have asked about our mom heart leaders' training coming up in Colorado Springs. I am passing this on to you since I have received so many questions about it and many of you are not on our email list. Hopefully, the information below will answer most questions. Have a great weekend. It is so encouraging for me to see the Lord continuing to open doors for Mom Heart Ministry. 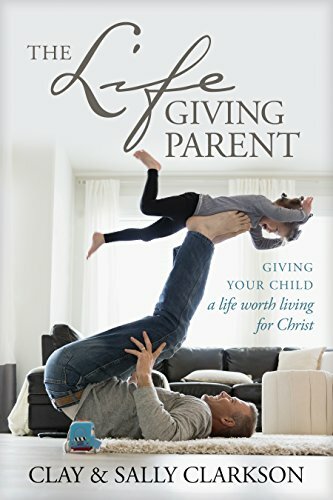 I get very excited just thinking of encouraging and helping moms, not just here in the states but all over the world, to stay faithful in their calling as a mom after God’s heart. The Mom Heart Leader Training Retreat is a first step toward making that vision real, and I appreciate your heart for and willingness to consider participating in it. You have been very patient as we have tried to finalize the details for this first training event for Mom Heart leaders. The initial conference facility did not work out, due to date conflicts and prohibitive A/V costs that would have made recording and filming the weekend impossibly expensive. By God’s grace, though, we were able to secure a weekend at The Broadmoor Hotel. It is a 5-Star resort hotel, but they offered us greatly reduced room prices and free meeting rooms with no restrictions on A/V. So, thank you for bearing with us this year as we try to bring this strategic weekend together on short notice (we’ll start planning early for next year’s leader retreat). If you know you can attend, click here to register now. If you think you can come, but you don't think you can register by Friday, click here to send us an email and let us know. We have been given a week grace period in determining how many rooms to reserve, so if you can let us know in the next week if you are planning to come, and you can go ahead and register, that would help us greatly. The Mom Heart Leader Training Retreat is for any mother 1) who is currently leading a small group book or Bible study for mothers with our materials, or 2) who desires to be trained to begin and lead a new Mom Heart small group. This event is not the same as our Mom Heart Conferences, which are inspirational weekends for all mothers. This event is a strategic training weekend for mothers who are willing to lead a Mom Heart group or church ministry, or to train others to do so. Our goal is to inspire, motivate, envision, instruct, and train you as a mother, and for ministry to mothers. We will discuss how to start and lead a Mom Heart small group or church ministry, and you will leave with a personal and practical plan in hand to do that. In the process of the weekend, you will also be biblically encouraged and strengthened in your walk with the Lord, refreshed in the getaway beauty of the Rocky Mountain foothills, and spiritually renewed by great fellowship with other likeminded mothers. We know there are many moms who are leading a Mom Heart group, or who would like to, but who are not able to attend this retreat. We understand, and that is why we plan to record and film the training, and make it available later either by CD/DVD, or digitally to listen or view on-demand online. Also, we will offer some of the same messages at pre-conference meetings the Friday morning of each of our Mom Heart Conferences in CO, CA, TX, and NC. You will be able to register for those meetings when you register for one of the conferences (conference registration will begin NLT October 1). What Will the Retreat Cost? The Broadmoor is a wonderful, and normally very expensive, resort hotel, but it offered the best package out of the facilities we considered with availability for the dates we needed. The most economical way to attend this retreat will be to share a hotel room. To avoid higher room rates, we agreed to manage room registrations and assignments. If you know who you want to room with, send us an email after you register with the names of all who will be in your room. If you would like us to assign you to a room, send us an email after you register to let us know if you want to room with 1, 2, or 3 others. Registration rates include: conference registration and materials, two room nights, and an $80.00 gift card for meals (good for any purchase at The Broadmoor). Transportation from and to Colorado Springs airport is not included and must be arranged separately with the hotel ($35.00 round-trip hotel shuttle, runs on the hour, counter at the airport). You can check into your room at 3:00pm on Friday, November 6. Our first meeting will begin promptly at 7:00pm that evening. The retreat will end at 12:00pm (noon) on Sunday. If you are flying to the retreat, schedule your return flight after 2:00pm on Sunday if possible to avoid missing any of the final meeting time. There will be some free time in the schedule to take advantage of The Broadmoor’s many amenities such as fine restaurants and coffee bars, lake path for walking, shops for browsing, pools and hot tubs, a luxury spa (reservations are necessary), and more. Mom Heart Ministry is still very new, and just getting beating, so please continue to remember us in your prayers. Pray for wisdom as we develop and make decisions about Mom Heart, for financial resources so we can hire an administrator, for the provision of a good video camera to film conferences and talks, and for someone who can help us expand our online ministry to mothers around the world. Pray especially, of course, for the Mom Heart Leader Training Retreat, that God would bring women who would become the heart of new ministry movement to mothers. We so appreciate your support, prayers, and encouragement of us in this adventure. May you know God’s grace and blessing today! 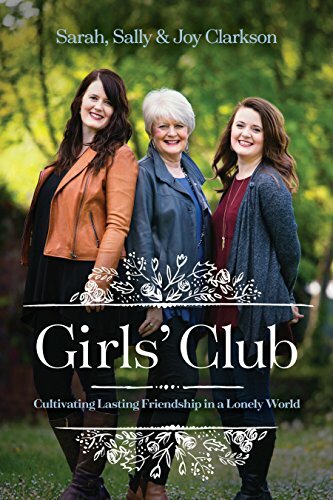 PS: If you are starting a small group for mothers this fall, remember that you can receive a discount for your books through our ministry (call Jennice at 888-488-4466 888-488-4466 ): 5-10 books @15%; 11+ books @20%. We also have DVD sets available for several books: Seasons of a Mother’s Heart (4 DVDs for $40); Mission of Motherhood (4 DVDs for $40); and Ministry of Motherhood (1 DVD for $15; 5 talks on the GIFTS). 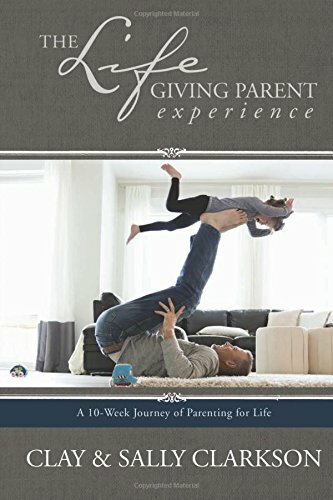 The DVDs contain 15-20-minute talks by Sally for each chapter in a book (except Ministry) that can be used as weekly introductions for a small group book study or a church ministry group. October 17: Featured speaker for the ISI New England Women's Conference, Bloomfield, CT.Click for info. November 6-8: Tentative: Mom Heart Leadership Training Retreat, Colorado Springs, CO (The Broadmoor Hotel). Click here for info or to register. January 22-23: Mom Heart Conference, Denver, CO, Denver Marriott South. January 29-30: Midwinter Home Education Conference, Grand Rapids, MI, keynote speaker. February 5-6: Mom Heart Conference, Irvine/OC, CA, Irvine Marriott. February 26-27: Mom Heart Conference, Irving/DFW, TX, Dallas Marriott Las Colinas. March 12-13: Mom Heart Conference, Raleigh-Durham, NC, Raleigh Marriott Crabtree Valley.